Australia and Cuba formally established diplomatic relations in January 1989. Cuba opened an embassy in Canberra on 24 October 2008. Australia's embassy in Mexico City is accredited to Cuba. There has been renewed momentum in Australia-Cuba relations since the visit to Cuba by former Foreign Minister, Stephen Smith, in 2009; the first visit to Cuba by an Australian Foreign Minister since 1995. The visit was part of the Government's commitment to closer relations with Latin America and the Caribbean. In June the following year, the Cuban Minister for Foreign Affairs, Bruno Rodriguez, visited Australia as a guest of government. During that visit the Australian and Cuban Foreign Ministers signed a Memorandum of Understanding (MoU) establishing political cooperation between their foreign ministries. The MoU identified as priorities for closer a bilateral relationship: expanding people-to-people links, aid cooperation in the Pacific and Haiti, and encouraging closer ties in science and technology, sport and culture. Significant progress has been made on that bilateral agenda. On aid cooperation, AusAID and its Cuban (http://www.ausaid.gov.au/country/caribbean.cfm) counterpart signed an agreement in June 2011 facilitating cooperation on the delivery of medical services to Haiti, to which AusAID contributed A$750,000 in 2010-11. On 21-22 July 2011, Mr Richard Marles, the Parliamentary Secretary for Pacific Island Affairs, visited Cuba to take forward a similar proposal for medical cooperation with Cuba in the Pacific. A senior CSIRO scientist is scheduled to visit Cuba in April 2012, reciprocating a visit to Australia by the Scientific Adviser to the President of Cuba in October 2009. On Australia Day, 26 January 2012, the Australian Journey Festival of Indigenous Art and Photography opened in Havana, sponsored by the Department of Foreign Affairs and Trade. Throughout January and February the Festival showcased the sophistication and diversity of Australian indigenous culture and encouraged people-to-people links between the Australian artists and their counterparts in the arts sector in Cuba. Since 1996, Australia has voted in favour of Cuba's annual resolution in the United Nations General Assembly calling for an end to the US trade embargo of Cuba. The embargo is codified in US law as Cuban Liberty and Democratic Solidarity Act (also known as the Helms-Burton Act). Australia welcomes recent US moves to improve relations with Cuba. On 13 April 2009, President Obama lifted restrictions on family travel, telecommunications and family remittances to Cuba and expanded the scope for delivery of humanitarian items directly to the Cuban people. 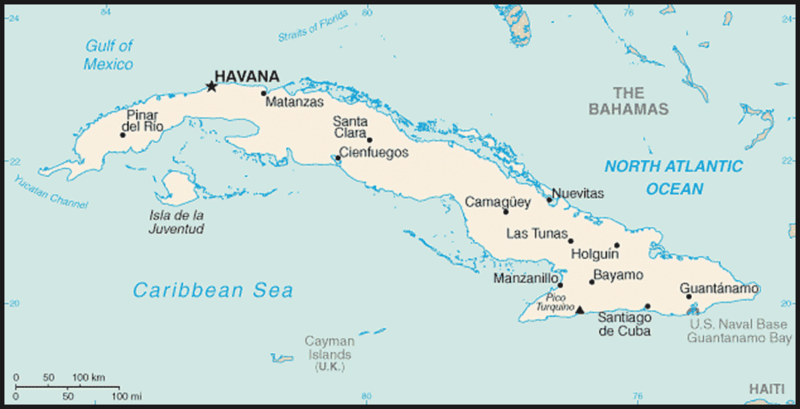 On 12 January 2011, President Obama announced a further easing of restrictions on US citizens travelling to Cuba, non-family remittances and US airports supporting licensed charter flights to and from Cuba. 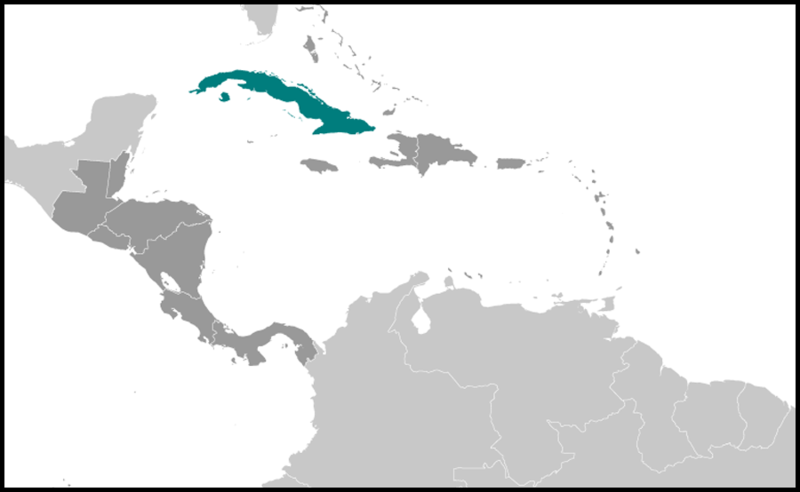 Cuba had been Spanish colony since Columbus's arrival, though in 1762 it was briefly held by Britain before being returned to Spain in exchange for Florida. A series of rebellions during the 19th century failed to end Spanish rule but the Spanish-American War finally led to Spain's withdrawal, and formal independence for Cuba, in 1902. In the years following independence, Cuba saw significant economic development but was often ruled by military figures who obtained or remained in power by force. On 1 January 1959, after a three-year guerrilla campaign led by Fidel Castro, Ernesto 'Che' Guevara and Camilo Cienfuegos, the dictatorship of General Fulgencio Batista was overthrown. President Castro declared Cuba a socialist state on 16 April 1961 and pursued close relations with the Soviet Union. Relations between Cuba and the West, especially the United States, deteriorated. For the next 30 years, Cuba received substantial economic and military assistance from the USSR, estimated at US$5.6 billion annually, which kept Cuba's economy afloat and enabled it to maintain a large military establishment. After dominating Cuban politics since 1959, Fidel Castro transferred power to his brother Ra�l temporarily in August 2006 and then permanently in February 2008. A process of incremental reform followed. In 2008, Cubans were given title to the state-owned homes. 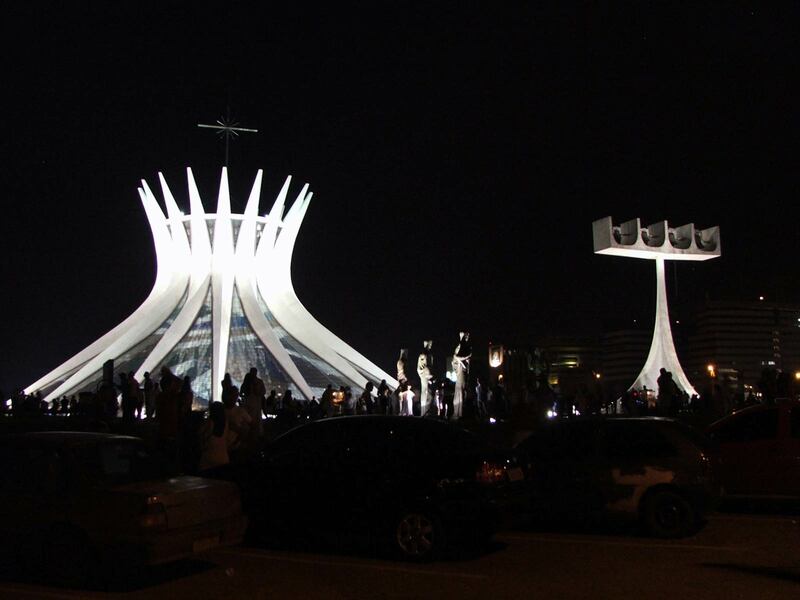 In 2009, in the biggest cabinet reshuffle in 30 years, ten new ministers were appointed, including the current Foreign Minister, Bruno Rodriguez, and Trade Minister, Rodrigo Malmierca. In April 2011, the first Cuban Communist Party Congress in 14 years endorsed Ra�l's agenda for cuts to public sector employment and state enterprises, a reduction of the food ration, an increased role for small business, expansion of small farming cooperatives, and a focus on attracting foreign investment into mining, energy, agriculture and tourism. Having averaged 10.2 per cent GDP growth for several years, growth decelerated to 1.4 per cent in 2009 following the global financial crisis and three damaging hurricanes. A renewed upward trend began in 2010, with GDP growth of 2.1 per cent, forecast to reach 3.5 per cent in 2011. Growth sectors of the economy are tourism mining, energy, telecommunications and manufacturing sectors. Offshore oil exploration is underway in association with Chinese and Norwegian investors. A new oil refinery and a tanker port are being built in anticipation of significant deposits, which if found should revitalise the Cuban economy within five years. In November 2011 the Cuban Government lifted a ban on automobile and home ownership. In December 2011 the government cut the price of building materials by 20-30 per cent, eased land leasing laws and enacted a new policy which would give Cubans looking to invest in business or renovate their homes access to bank credit. In January 2012 new regulations permitting carpenters, locksmiths, photographers and repairmen to become self employed came into effect. These changes are consistent with President Ra�l Castro's goal for the private sector to employ 40 per cent of the population by 2016 (from 10 percent in 2010). Two-way merchandise trade between Australia and Cuba in 2010-11 totalled A$16 million up from A$7 million in 2009. Australian exports to Cuba totalled A$11 million - primarily milk and cream, heating and cooling equipment and transmission shafts. Cuban exports to Australia were worth A$5 million in 2010-11 - mainly tobacco, crustaceans and alcoholic beverages.